At last, the day has arrived. 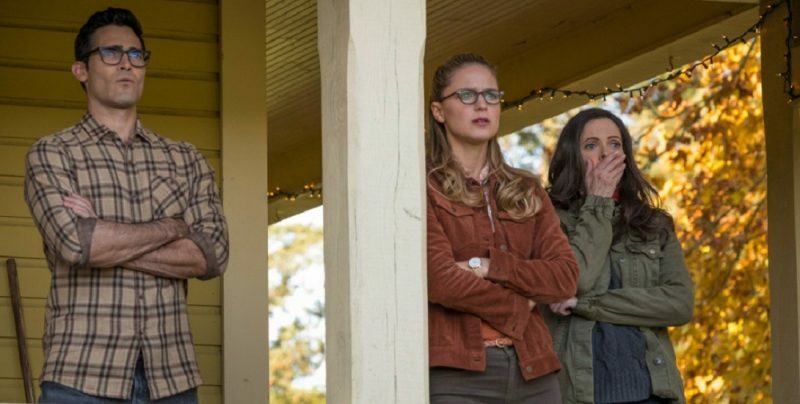 We’ve finally seen the first chapter of the eagerly anticipated Elseworlds crossover event… and what an episode it was! The hype machine has been on overdrive for this story, which means that expectations were high and it had a lot to live up to. Sometimes reality doesn’t live up to the dream, and many of us have been let down before. So… did this episode deliver? You bet your Infinite Earths it did! 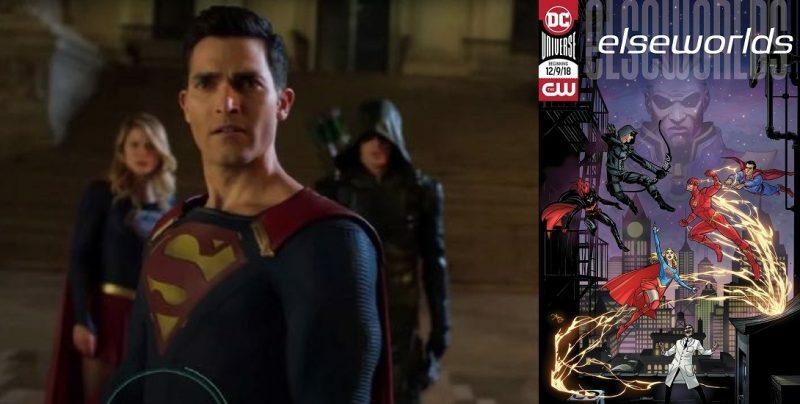 Unless you’ve been living under a rock you’ll know that these super fun crossovers have become en annual event across the CW “Arrowverse” shows. The incredible thing is that they just seem to be getting better, and better! I hate giving things away in my reviews, but so much has already appeared online to set the scene. 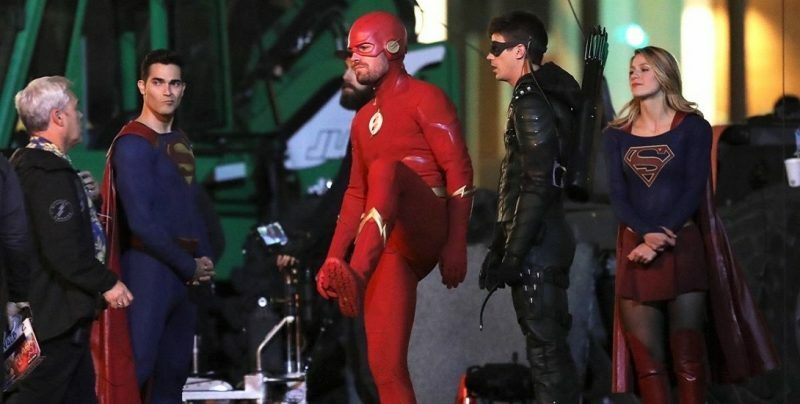 I thought that having Barry as Green Arrow and Oliver as The Flash would come later into the story, but that’s how the whole event starts! The writing and acting that revolves around this situation is clever, intriguing and hilarious. Never has it been more clear how different our two heroes are, to their very cores. Seeing them adjust to their new roles/personas gives us a fascinating look into their psyches. The way these two men deal with adversity, danger and this bonkers situation could not be more different. 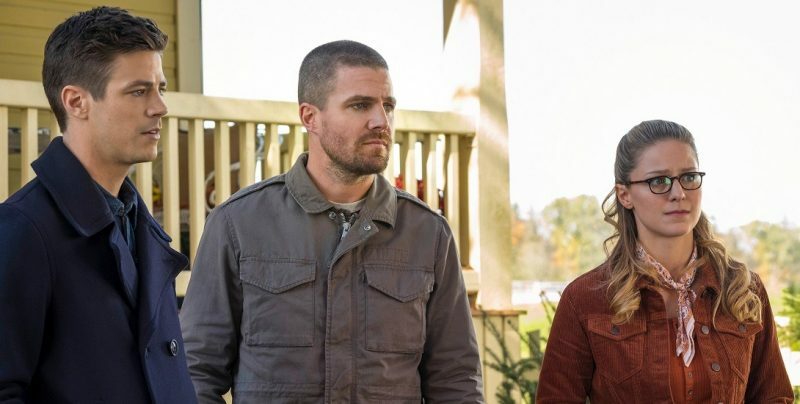 Last week we saw Barry deal with nightmares from his past, but in this episode we may be getting a terrifying glimpse into his future. One of the things I love about The Flash is the catalogue of comic-book references it draws from. From the very beginning we’ve had teases of red skies, and references to the “Crisis On Infinite Earths.” With the appearance of the Monitor and Doctor John Deegan I cannot help but feel a sense of dread and impending doom thinking about poor Barry Allen’s imminent prophesied disappearance. Nora’s ties with Eobard Thawne, comments about Dawn West-Allen and events from this episode have me biting my nails nervously. I both cannot wait to see how it all develops, while dreading the possibilities all at the same time. It’s no longer a spoiler, but isn’t it a gorgeous touch that John Wesley Shipp’s Flash in this story is from Earth 90? As in 1990. What a beautiful tribute. After last year’s incredible “Crisis On Earth X” crossover event, I knew that this day would come. What I didn’t anticipate was the level of fun, Easter-eggs and the treasure trove of characters that would be involved! As soon as I heard the name Ivo this week, I knew we’d be in for a treat; trust me folks, this is one that will Amaze… O, yes it will! Add on top of all this seeing Superman fighting alongside Flash and Green Arrow, the debut of an all-new (and completely wonderful) Lois Lane and the introduction (at last) of a member of the Bat-Family, and I honestly feel like a kid again. Comics fans have never had it so good! This episode delivered more than I could ever have hoped for. Shirts ripped open, inter-dimensional travel, heroes starting off at odds, then teaming up. Super speed, grapple guns, martial arts, explosions… and even a giant robot! The number of times I squealed with delight watching this episode was just ridiculous! To top it all off we see that city, that skyline and a cape, billowing in the darkness… Somebody Save Me from all this excitement! We’re clearly not in Kansas anymore. I want chapter two RIGHT NOW!